The second part of the Ottercombe Bay mini-series continues as Daisy Wickens decides how she will spend her required year in Ottercombe Bay. Bella Osborne brings a little mystery to this fun read as Daisy is the victim of an unsolved burglary and questions about her mother's death remained unanswered. This part of the story dragged a little bit, but the plot continues to expand. With some help Daisy decides to turn the old train station into a year-round gin and hot chocolate bar. Though her interactions with Max are turbulent, his determination to help renovate the railway station puts them on more peaceful terms. Now that Daisy has support and a direction, maybe this year won't be so bad after all. I am absolutely dying to see what happens next in Daisy's journey! Even though her perspective looks much more positive, she still has challenges to overcome. The allusions to Daisy's past and her mother's death are definitely part of what keeps me coming back. Exploring the town with is quirky characters and Daisy's mishaps is another. I'm remaining somewhat reserved in my expectations in case Bella Osborne throws in a curveball, or two. 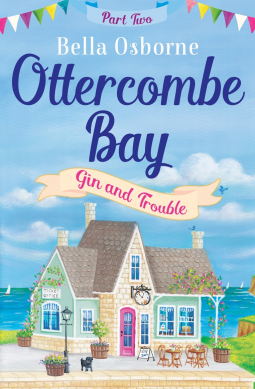 The four-part Ottercombe Bay mini-series is perfect for readers who want a quick engaging story to get lost in for an hour or so!